The rush of large electric vans hasn’t quite started just yet, but it isn’t far off. 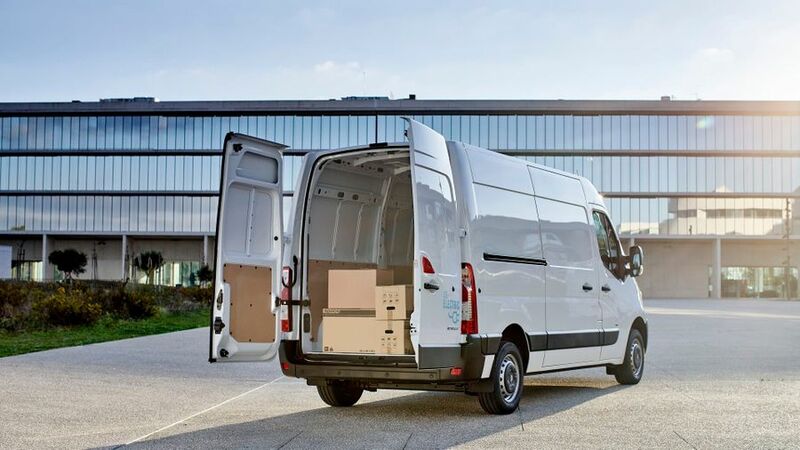 Renault has stolen ahead of its rivals from Iveco, LDV, Mercedes and Volkswagen and managed to get the first battery powered version of its largest light commercial van to market. The Master has been around for a fair few years now, though, so Renault has taken a bit of a short cut rather than start from scratch. It has swapped the engine and associated parts out of a standard Master and popped in the motor and battery that features in the smaller Kangoo electric van and several passenger cars from the Renault and Nissan ranges. Interested in buying a Renault Master? Because Renault has taken a bog-standard Master and replaced the combustion engine and associated parts, the loading bay remains entirely unchanged. The full-height steel bulkhead comes as standard, while the loading space is simple and functional. The side and rear doors are easy to open and close one handed, and the room on offer is comparable to rivals such as the Mercedes Sprinter and Volkswagen Crafter. You get plenty of choice when it comes to the Master Z.E. bodies, with four combinations of height and length available ad even two chassis cab versions for those that want to strap a different back on. There is a short version with a low and high roof, a medium length with high roof and a long wheel base with the higher roof. The payload ranges between 975kg on the largest model and 1,128kg on the smallest. 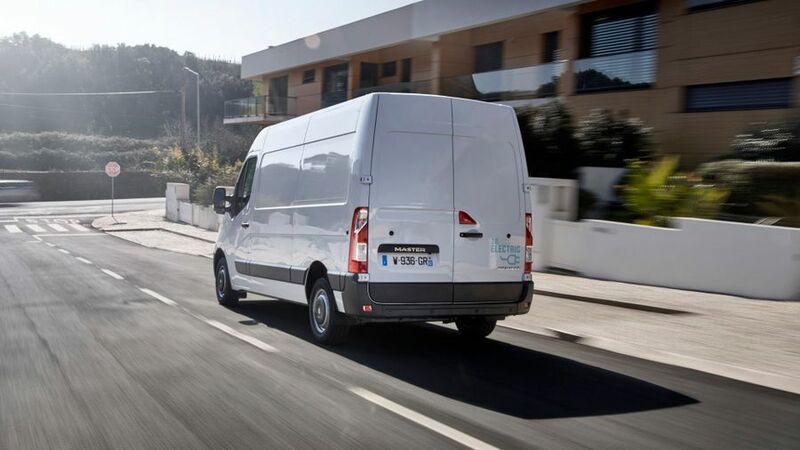 The mid-range L2H2 model has a 1056kg payload, which might not sound like loads for a van that can offer as much as 10.8 cubic metres of carrying capacity, but Renault explains this by saying that it is aiming the Master at delivery companies for whom space is more important than weightlifting ability. The third generation of Master was first launched in 2010, and the interior of the electric version is largely unchanged since then. Anyone expecting a sophisticated interior is set to be a bit disappointed therefore. 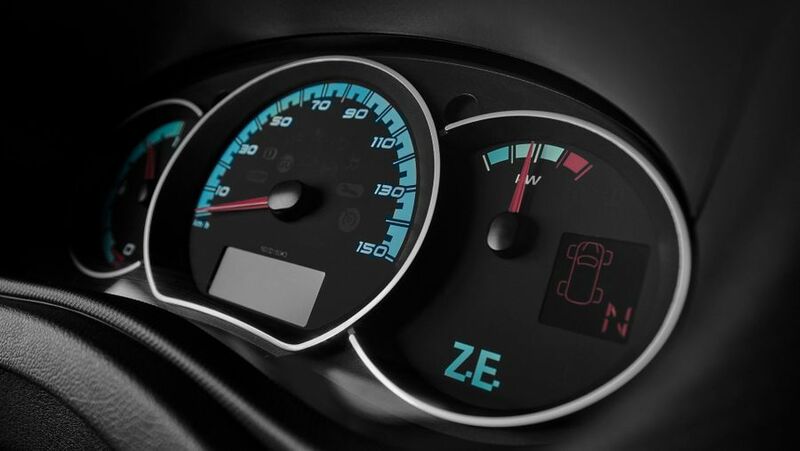 The only real elements that show you are in an electric van are the information clusters on the dashboard, which show battery use rather than the fuel gauge. The good elements remain, such as the vast amounts of space, loads of storage compartments, a fold-down seat back that creates a small desk and excellent visibility thanks to the wide-angle mirrors. Unfortunately, the oddly placed infotainment screen up where the rear-view mirror would otherwise be is also carried over. 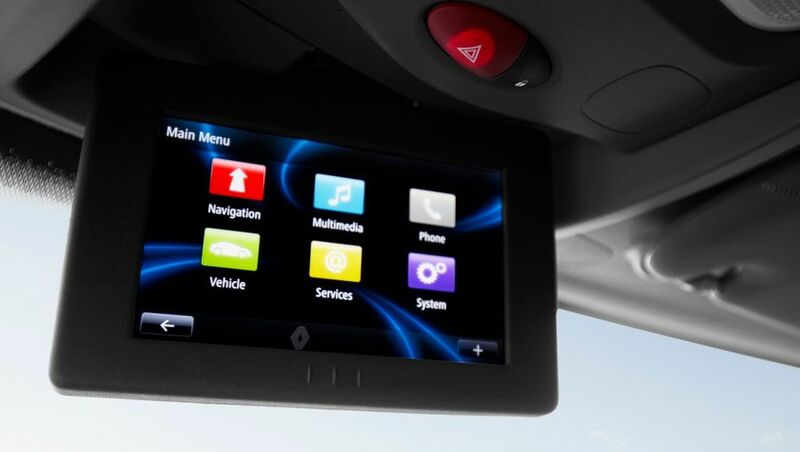 It uses Renault’s latest system but comes with a clunky Tom Tom sat nav and a series of menus that are tricky to navigate. Running costs for an electric van will always win out over the diesel equivalent, if you have the right setup in place. 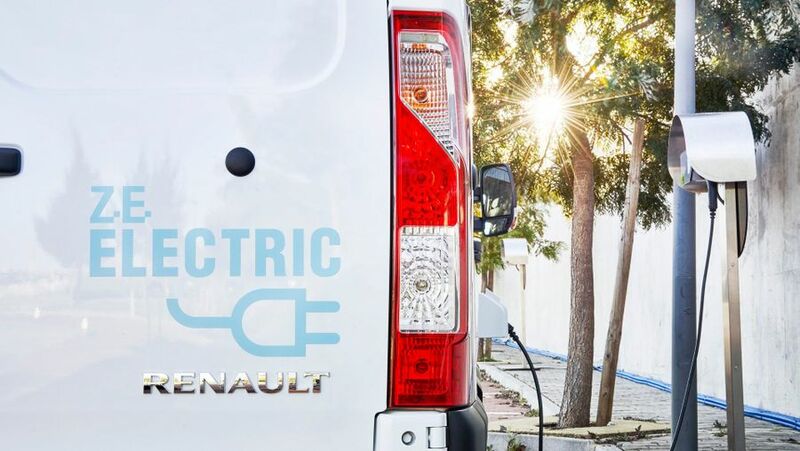 If you have the ability to charge an electric van at your home or business, and can do so at a favourable time of day as far as electricity tariffs are concerned, then you can end up spending pennies per mile to run it. Factor in the other bonuses, such as free VED tax, the ULEV grant from the government that knocks a chunk off the purchase price and savings on parking charges then it can all make a difference. The Master Z.E. should prove reliable, as there are fewer moving parts in a battery and electric motor setup. With fewer moving parts, there is less to go wrong, too. This is tried and tested tech, too. The battery and motor pairing has appeared in the same combination in the Kangoo Z.E. and the Renault Zoe, and is pretty much the same tech as you find in the Nissan Leaf. Those models have proved to be reliable so far in their relatively short existences in the grand scheme of things, and there is no reason to believe the Master will be any different. The Master’s stats aren’t mind blowing when put against smaller vans. It has an official range of 124 miles, although Renault officially says is more likely to be good for around 75 miles in real world conditions. The Z.E. drives very much like a standard Master in many ways. It doesn’t have the instantaneous kick of acceleration that usually comes with an electric vehicle, preferring a gradual but insistent build-up of torque. It accelerates at a similar pace to a diesel model, in fact, but in a much smoother manner, and will power up hills in a determined if steady manner, even with a 500kg load in the back. An Eco mode button will dull things slightly, too, to help eke as much as possible out of the battery. It limits the top speed to 50mph, but even with it off the Master will only make it to 62mph, further underlining the urban aspirations. Putting everything else about electric vans aside, the near silence that comes with driving at low speeds is a genuine joy, and the Renault Master is no different around town. There is gentle ‘bong’ when you fire it up, and then a simple low whirr at urban speeds that makes for a relaxed atmosphere. Pick up the pace, and it isn’t such a refined experience. The cabin lets in all manner of wind, road and rain noise, meaning you can end up raising your voice to communicate as you would in a diesel. Presumably the extra insulation would add weight, lowering that already relatively low payload that bit further. Because the base vehicle is fundamentally an unchanged Master, it doesn’t ride or steer quite as sharply as a smaller purpose-built electric vehicle, but it isn’t compromised by the changes either. 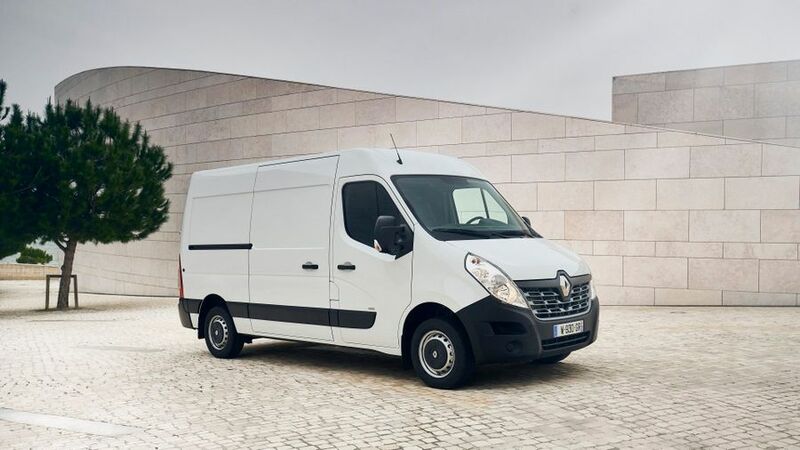 The final UK spec has yet to be confirmed for the Renault Master Z.E., but it is set to be a high-end model and therefore likely to come with more safety kit that would otherwise be optional on lesser versions. The fact that it is limited to 50mph and it will spend most of its time around town will help keep drivers safe in itself, but there are a few features that help matters. The massive door mirrors mean that visibility is great, for example. Full UK specifications are due to be confirmed close to when the Master Z.E. goes on sale at the end of 2018 but expect it to come relatively well equipped to justify a position at what is likely to be towards the top end of the Master range. What it will have is a selection of connected services to help it locate charge points, help fleet managers keep a handle on its location and status, and an app that lets you view the range and charging situation remotely. The market for an electric van is not huge yet, even though many urban companies might well be able to cope with a limited range and keep charging down to once a day. While there might be more options to come from the likes of Mercedes and VW, the Master has nipped in ahead of them with tried and tested tech. For those that need more storage space for urban deliveries, the Master is a good early option, but it is not the innovative tool that electric vehicles often are.